This, in itself, is understandable. It’s relatively new tech, and basically in its awkward, unpredictable teenage years. There are so many benefits to using it, but for this to become common knowledge, the industry needs to be open about the challenges as well as the positives. This shouldn’t put anyone off getting involved in programmatic, but instead address concerns, deepen knowledge, and highlight ways to avoid potential pitfalls. Implementing anything new into a business tends to be a long, drawn-out process, as the knowledge trickles down throughout the company, and everyone gets to grips with it. With programmatic buying, this process can be even more difficult, as the people responsible for implementing it may not fully understand it, which leads to it being used ineffectively. In turn, this leads to questionable results, and ultimately it will likely end up ignored in favour of the old ways of purchasing online inventory. The key to preventing this is making sure that you research every option prior to implementing a specific programmatic plan or platform. There are a number of different options, and each will benefit different businesses in different ways. Basically, before bringing in a platform, read. Then read some more. Keep reading until there is nothing left, no stone unturned. Then ask questions. This is the only way a you can be confident that you’re making the right choice, and importantly, you will have a deeper understanding of it, and can pass that knowledge onto others. From there, that figure of half of programmatic users being unsure about what it actually does can drop quickly, as you and others like you impart your great knowledge onto your colleagues. As knowledge about programmatic buying becomes more prevalent this should become less of an issue, but as long as there are online display ads, there will be ad fraud. It’s not an issue isolated to programmatic, but it can have huge implications on how companies make purchasing decisions. Ad fraud is basically derived from bots viewing adverts, rather than humans. If the fraud is successful, advertisers pay for the impressions, but they are effectively paying for nothing, as there is a zero percent chance that these impressions will lead to a conversion. There are measures being taken by Google, amongst other companies, to combat this and ensure that these false views do not count towards an ad campaign’s final statistics, but it’s not yet foolproof. Where marketers buy inventory, and which programmatic providers they use, can play a big part in combating this too. Again, this is largely about research. Which platforms publish on the best, most reputable sites? Which hit the right target audiences? Which offer the widest variety of quality inventory? This is all found through looking thoroughly into each platform, and ensuring it meets your specific needs. The more inventory bought on reputable sites, the better it is for the industry overall, as those with high rates of ad fraud won’t generate as much income. As mentioned briefly already, programmatic platforms provide a huge range of inventory to choose from. How would this represent a challenge? Well, there’s such a huge range of options that it can seem overwhelming for the marketer. There are so many things to consider too. Have you identified the right audience and demographic? Is this programmatic platform reputable? Which programmatic option fits best for your campaign targets? There’s no right answer to any of these questions. Some options which work for one business, or even industry, will be a terrible choice for another. Before jumping in, you need to research, and test. It’s a learning process, and it’s much better to be absolutely sure that the choice is the right one. Whether this involves Programmatic Direct, Real Time Bidding or a combination of options is all dependant on the individual business. The only thing that can be applied to all approaches to inventory buying through programmatic is to ensure that you’re using a reputable vendor, which sells inventory for well known sites. Your buying strategy needs to come from cold, hard analysis, first and foremost. If you have the stats in the beginning, you will likely see the results at the end. 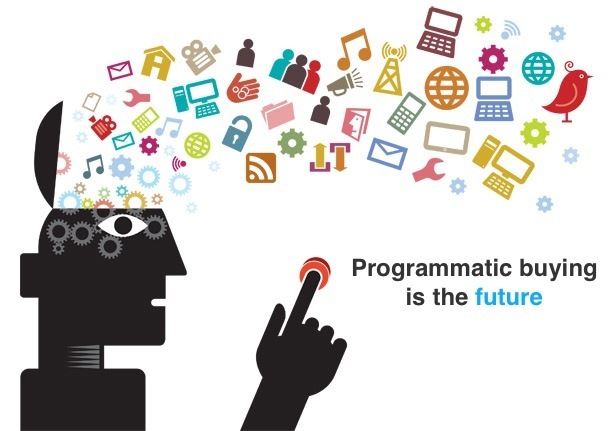 The key to overcoming the challenges of programmatic is, essentially, research. Instead of diving in, read and consume all of the information you can. ‘Knowledge is Power’ is a massive cliche, but it’s been used so much over the years with good reason. The more you know, the better the result. There’s no quick fix, no hard and fast right answer. Everything depends on your goals, your audience, your budget, and your vision. Just being aware of what to look out for, though, is a great start to your journey into Programmatic Ad Buying.